Writer's Digest Books, 9781582974866, 288pp. What Can You Accomplish in 30 Days? So what are you waiting for? 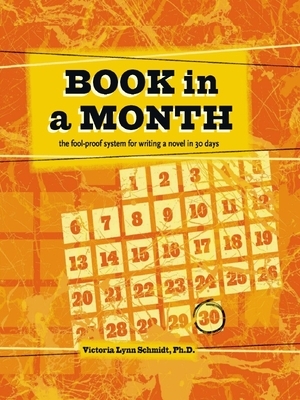 If you've been putting off your book project, let Book in a Month be your guide and find out just how much you can accomplish. Victoria Schmidt (www.charactersjourney.com and www.charactersjourney.blogspot.com) is the author of Story Structure Architect and 45 Master Characters. She is a graduate from the prestigious film program at UCLA, holds a master's degree in writing from Loyola Marymount University and is currently finishing her Ph.D. in traditional psychology. She is a member of the Golden Key National Honor Society, Women in Film LA, The National Writer's Union, and Romance Writers of America.